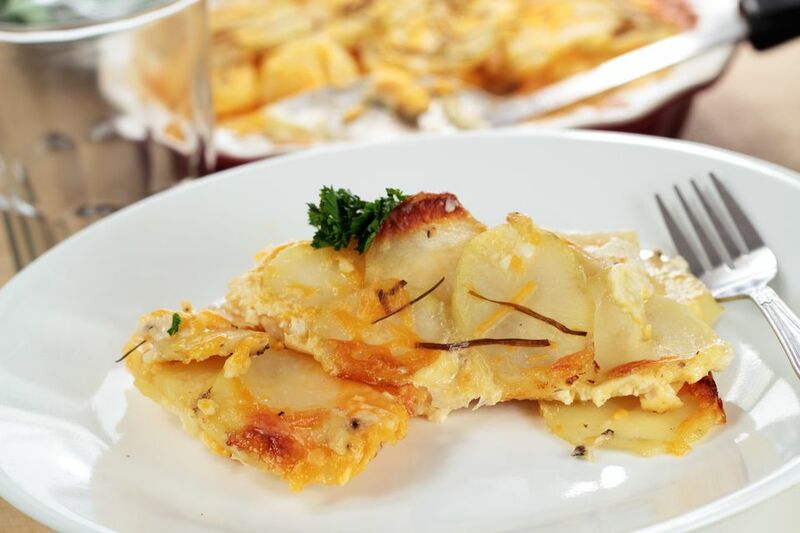 This cheesy potatoes recipe is one of those side dishes that are easy enough to make every day, yet tasty enough to serve to company. We like to serve these cheesy roasted potatoes with lemon roasted chicken or our favorite beef brisket recipe. Peel potatoes and cut into 1-inch pieces. Place in a large, heavy roasting pan or a 9 x 13 pan. Drizzle with olive oil and sprinkle with salt and pepper. Toss well. Roast 35 to 40 minutes until potatoes are tender. Meanwhile, fry bacon until crisp. Drain on paper towels. Remove potatoes from oven. Sprinkle shredded cheese over potatoes. Crumble bacon on top. Return to oven for 5 minutes until cheese is melted.